There they go again. The Council on American-Islamic Relations (CAIR) has just put out an Action Alert that takes direct aim at the Constitution of the United States. At issue is the Michigan state legislature's House Bill No. 4769, which looks likely to pass in coming days. Quite simply, that bill states that no foreign law may take precedence over American law or Michigan state law in a Michigan court room. "A court, arbitrator, administrative agency, or other adjudicative, mediation, or enforcement authority shall not enforce a foreign law if doing so would violate a right guaranteed by the constitution of this state or of the United States." "This Constitution and the Laws of the United States which shall be made in Pursuance thereof; and all Treaties made, or which shall be made, under the Authority of the United States, shall be the supreme Law of the Land; and the Judges in every State shall be bound thereby..."
So why would CAIR call on its members to oppose legislation that protects all American citizens, upholds the U.S. Constitution and in no way interferes with the right of any individual to freely exercise his or her religion as guaranteed by the First Amendment? CAIR (a Muslim Brotherhood front group) points to the answer in its own words. Its Action Alert decries "discrimination on followers of a minority faith" and terms the legislation "anti-Islam," even though there is no mention of Islam or any other faith in the bill. There's also no mention of any specific foreign law, just the general proviso that if ever there is a conflict between any foreign law  be it French law, Islamic law, Japanese law, Zambian law or any other  and U.S. and/or Michigan state law, it is the American law and the Michigan law that will prevail. So, then, in what way is such legislation "anti-Islam"? It would seem that CAIR is saying that Islam is not just a religion, but actually a legal system (hint: it's called "sharia.") This is quite forthcoming of them, because in fact, of course, Islam is not merely about diet/fasting, devotion, prayer, worship, pilgrimage, and proselytizing (Da'wa), which are completely 100% protected by the First Amendment to the U.S. Constitution. No, as CAIR is rightly pointing out, Islam is also a "complete way of life," encompassing a legal, military, political, and social system. The name of that "complete way of life" is sharia (Islamic law), which governs every aspect of a Muslim's life and actually forbids a separation between faith and governance. It is unlawful under sharia for a devout, practicing Muslim to "render unto Caesar what is Caesar's and unto God what is God's." The CAIR Action Alert against Michigan's pending legislation perhaps unintentionally illustrates this in a most instructive way. The reason the Muslim Brotherhood and all other sharia-adherent Muslims cannot accept that sharia provisions that conflict with U.S. law be superseded by Constitutional law in American courts is precisely the notion that Islamic law must dominate all other laws on earth in every respect. Of course, this sort of legal supremacism is not only in direct contravention of Article VI of the U.S. Constitution; if acted upon, it arguably also could be grounds for a charge of sedition, conspiracy to commit sedition, or misprision of sedition. Aside from the obvious need to ensure that American law prevails in American courts, the specific nature of Islamic law is particularly problematic. Of course, CAIR does not mention this in its Action Alert, but although sharia indeed contains legal prescriptions about devotion and worship as well as many other aspects of life, there are also multiple elements of sharia that are utterly antithetical to the U.S. Constitution and Declaration of Independence. Most important of all is that the Islam of sharia mandates legal inequality between Muslims and non-Muslims, and between men and women. Sharia also imposes barbaric, mutilating punishments for theft, flogging for "fornication" and the death penalty for adultery, apostasy, homosexuality and, in some cases, slander/blasphemy. For those who do not accept the rule of Islam, sharia is a supremacist, violently expansionist doctrine that requires every Muslim to participate in jihad, which is "warfare to spread the religion." Clearly, then, CAIR, which was named by the Department of Justice an unindicted co-conspirator in the 2008 Holy Land Foundation HAMAS terror funding trial, is presenting a misleading impression of Michigan's "Restriction of Application of Foreign Laws Act" and also concealing its real reasons for opposing it. This kind of deliberate dissimulation is called taqiyya and is often used by adherents of sharia to deceive the non-Muslim (infidel or kafir). Quite helpful for everyone, however, is the unintended way that CAIR provides a revealing look inside the operations of the Muslim Brotherhood in America as it seeks to protect the insinuation of sharia provisions into the U.S. legal system. As a careful reading of Michigan's House Bill No. 4769 will confirm, this legislation actually provides assurance that American Muslim families are afforded the same constitutional protections and liberties as other Americans. Unfortunately, as a June 2011 Center for Security Policy study demonstrated, Islamic law (sharia) is present already in the U.S. legal system in a significant way. 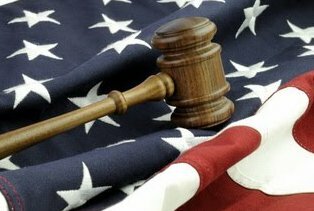 The data presented in the "Shariah Law and American State Courts: An Assessment of State Appellate Court Cases" study documented a total of 50 cases from 23 different states involving a "conflict of law" between sharia and American state law. Sharia-based legal conventions or decisions from 16 foreign countries had been brought to bear upon these 50 cases. Muslim Americans, many of whom came to the U.S. to escape the oppressive rule of sharia in their home nations, are no less deserving of the protections of American law than other Americans born into the privilege of living in a free country where faith and state are kept separated by law. Liberty-and-equality-protecting legislation like Michigan's House Bill No. 4769 already has been passed in Arizona, Kansas, Louisiana and Tennessee and has been introduced in more than 20 more states, including Michigan. Emails, letters and phone calls from constituents in these states to state legislators can help to ensure passage for such measures. Residents of Michigan can contact their state representatives here. "Our position is that no company doing business in America has the obligation to enforce discriminatory foreign policies on American employees," he said. "A discriminatory dress code implemented in France does not supersede American laws protecting the religious rights of American citizens." Mr. Hooper, we couldn't agree more. Perhaps you could mention this to the folks in Michigan.